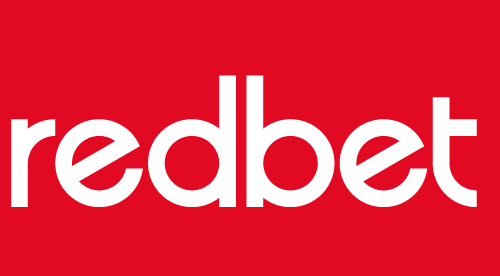 Originally set up in 2002, Redbet didn't make its way online until two years later. That means it's been providing online spins for over ten years, with plenty of time to refine the experience it delivers to players. You can expect to find some quality games from top providers, as well as a dedicated sportsbook and brilliant bonuses. While there might be other sites out there with more software providers on board than Redbet, it's not an issue here. It has two of the biggest developers in the business providing the games: NetEnt and Microgaming. Betsoft is also on board. There's a solid selection on slots as a result, as well as live casino games. Even better, Redbet has platforms for both poker and live betting, as well as a dedicated sports section. This is ambitious for a casino site – it's relatively rare to see a bookmaker/casino crossover. The Redbet mobile experience is just as feature packed. You can access the same betting, gaming and live casino options as you can on the main site. One slight drawback is that you can't use any of these features unless you sign up first – unlike the desktop site, where you can jump straight in to game selections or odds. This isn't a major problem of course (as joining has a variety of benefits), but a bit of a shame if you want to get a sense of the site from a mobile device before committing. The site is laid out in a very familiar way if you've used online gaming platforms before – the newest slots available greet you right away and you can access a selection of games by simply scrolling down the page. The sign up and login buttons are clear and large so it's easy to access the site whether you're a first-time visitor or an existing member. The header that scrolls with the page has everything you need on it. With so many platforms on offer, including live and sports betting, the site could have been a bit of a pain to navigate. Luckily, everything is concisely laid out and one click away. A separate downloadable client is available for poker, but you can also simply play in your browser, which is a convenient feature. One of the best things about Redbet is the variety on offer – and not just in the form of casino games. There are over 400 slots and 17 table games, not to mention the live poker and live casino products you can play. There are some movie tie-in titles here, in the form of Highlander and Planet of the Apes. You'll also find a large selection of casino games, including blackjack and roulette. Where Redbet really comes into its own is with the live betting, poker and sports sections of the site. The live betting is exactly what you'd expect to find on a bookmaker site and offers odds on football, basketball, tennis, cricket, e-sports, handball, ice hockey, snooker and volleyball. The sports section has a variety of odds of a massive amount of sports too. While Redbet poker does require a download unless you want to play in your browser, it's a well presented online poker experience. New players can take advantage of a 100% first deposit bonus up to £50, which also includes 50 free spins on Warlords. It doesn't stop there though: there's a second deposit bonus of 100% bonus plus £50 and 50 free spins on Starburst, as well as a third deposit bonus of 50% up to £100 and 50 free spins on Gonzo's Quest. There's also a number of offers available for the sportsbook, including a £2 free bet for every goal scored in football and two free bets for first timers. When it comes to poker, new players can take advantage of the first deposit bonus of 200% up to €2,000. The support window is always present on the screen (closed until you interact with it), which is great – there's no navigating menus to get help when you need it. Banking support is pretty much as you'd expect. There are payment and withdrawal options for credit/debit cards, Neteller, bank transfer and more. Withdrawals are fast here too, normally completed in under 24 hours. All in all, this is a solid site that gives both bookmakers and online casinos a run for their money. It's ideal if you want a one stop shop for gaming and betting. That said, you might only find certain games, slots or odds at more specialist sites.